My favorite part of pinball is trying to reach (and ideally beat) the wizard mode of each pin I really get into, and I live have the difficulty to reach each of varies so much. I'm curious to know what you all would rate the difficulty of reaching each wizard mode in the following Pinside top 10 games (only using nine since that is the voting limit). Let's focus only on main wizard modes, and not mini wizards. Also, the rating applies to reaching the given mode, not completing it, and we're assuming that game is set to default. Let's say a rating of 1 is like doing it with your eyes closed, and 10 means the planets must be aligned and you almost have to have the perfect game. Here are my ratings. I've left blank the ones I'm not familiar with. 3. Monster Bash (MOR) - ??? 6. Metallica (EOTL) - ??? 8. ACDC (Encore) - ??? 9. Addams Family (TTM) - ??? Stern Simpsons is one of the hardest if not THE hardest. WoF is no slouch, either. Unrepresented. WoZ is not that hard to get TO, it just takes LotR time to get there. What r u smokin? Woz is damn near impossible. Good luck getting Mega jackpot. Iron Man... Family Guy is also hard to reach. Are you talking about the one during Rescue Multiball? Depends on how the pin is set also as little differences can make a huge impact on difficulty. Of the ones u mentioned lotr, met, acdc are the most difficult and di is up there also. Miss and love AFM RTU I think can be achieved sub 30 min ? MB, Had, never made it , Lymens Lament is Awesome ! TZ Wow, all time great, I was able to reach LITZ but can't recall making it ? TAF, Hell yeah, really cool, Love it ! Pinball is SO COOL ! MET EoTL Bloody hell, still a work in progress ! Anyone care to comment on time to reach Wizard on each title ? I've found people mistake Melt the WW on WOZ with the wizard mode. When I bought mine the guy was selling it because he could get to melt the ww every time and said that's why. After it was loaded in my van I told him how to get to somewhere over the rainbow. Pretty much all Keith Johnson games are super tough. WPT is the most difficult hands down. Even Bowen mentioned that it is something he will likely never reach. The game has been out since 2013 and to this day I haven't heard of anyone reaching Somewhere Over the Rainbow on default 3 ball settings. I just got Dialed In and would rank that highly too as you need to collect 8 SIM cards representing the 8 letters in "Dialed In". To do so you need to complete disaster modes and / or multiballs on the playfield light the SIM card shot (one of the most difficult shots in pinball), and then make that shot before you drain. If the SIM card shot is lit after completing a mode you need to make the shot before you drain as otherwise you lose the chance to collect it and must complete another task, light the SIM card shot, etc. I haven't heard of anyone reaching Showdown on default 3 ball settings yet. I think it is do or die mb on Iron Man,Which involves 21 drone targets, war machine super, Whiplash Supper, 3 sets of iron man targets, and monger super. As mentioned in my initial post, I'm only listing the Punside top 10 (9 since voting on this site only has 9 choices). There are definitely other games like TSPP and WOZ that are as hard, if not harder than anything on this list, but for now let's just stick to the top 9. I've turned my SIM memory on, because losing all that progress is just so defeating that I wasn't enjoying myself, and even still, the most I've lit is 4 or 5. I'm not sure if it's only my game, but I find it extremely unpredictable and drainy. I’ve got to believe stern Star Trek is in the top 5. Has anyone ever reached 5 year mission? I'm not sure if it's only my game, but I find it extremely unpredictable and drainy. It's not just you, IMO. The two or three different ones I've played are all like that. It's the multiball magnets and the drone magnet. I cant tell you that out of your list, I've gotten to everything but Valinor (two shots away. Not kidding. ), Encore (Right orbit shot pissed me off so much trying to get to Encore I sold the game. Got two songs away once. ), and Showdown (don't have consistent access to DI). Addams Family (TTM) - ??? Addams Family is actually pretty easy to reach the wizard mode once you get the hang of hitting the middle ramp shot followed by the scoop--that allows you to stack modes and run them simultaneously. That's the great Joe Said, one if the people behind the awesome Spinners arcade in MD. If Dialed In gets a 9, then EOL on Metallica should be a 10 or higher. Encore is harder than EOL though. Don’t forget about Do or Die Multiball on Iron Man! Again... Let's stick to the Punside top 10 (really 9) for this thread. What do you guys rate BFTK out of 10? I'd give LOTR Valinor a 9 from your list. I've reached it a handful of times, but never in under an hour. That's literally the most challenging part, but it's not impossible. Load up 5 balls and let 'er rip. Simpsons IS impossible. I don't have the half-jacket skills for it. I've never done it, only been kind of in the neighborhood. It's hard to even remember everything you have to DO for AMEHWOASHHSIAHD. I recall one ridiculously good game where someone had the extra ball thresholds a little bit low, think I played 5 or 6 balls in total, but I did everything EXCEPT for 5 super jackpots and Secret Stash. I've been to Springfield Mystery Spot a grand total of 3 times. Monster Bash (MOR) - ??? So you think it's tougher to get to BFTK than EOTL? Ouch, I saw the game froze up right as he started SOTR! That's just heartbreaking! Not that it's comparable, but the first time I was about to start BFTK, my ball got stuck in the catapult, and when I tried to take the glass off, it drained. I was crestfallen. Out of curiosity, and since it is currently sitting in the top 10, does anyone have feedback on the difficulty to reach wizard mode on Iron Maiden? I listened to the latest Head2Head podcast earlier today with Keith Johnson. Sounds like The Hobbit will be one of the most difficult wizard modes to reach in pinball once the next code update is released. 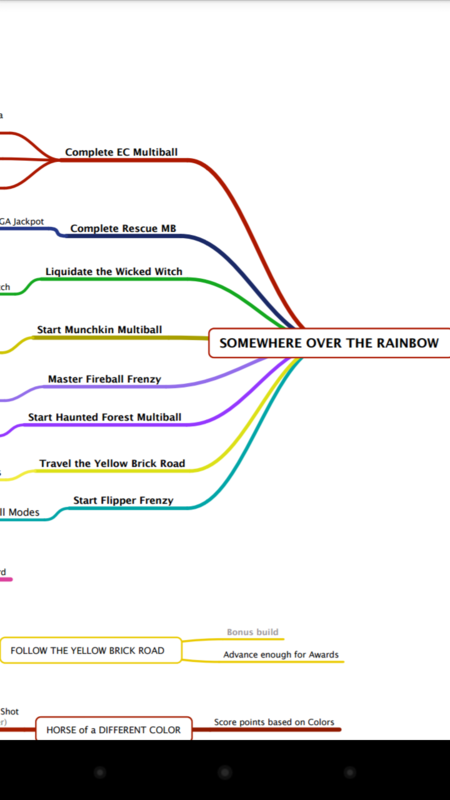 The super wizard mode is called "There and Back Again" and requires all 31 book modes to be completed! I own TSPP, LOTR, and WPT....I'm a glutton for punishment! Absolutely asinine. Just one more reason this game is unbelievably terrible. Just because you CAN make something stupidly hard (or in this case just outright TEDIOUS) doesn't mean it's FUN. Getting to the 2nd or 3rd wizard already requires a ridiculous amount of play, and when you can make shots and sit on Hobbit for an hour and a half and still not have any chance of seeing the 3rd wizard, much less Super A-Hole Wizard Mode. It's just not fun. That's the difference between LOTR/TSPP and new games like Metallica and Hobbit. It's FUN to take the journey on those games. This new crap? It's like a cell phone game...all you're doing is chopping wood. OH MY GOD IT'S HIT THE SPIDER TIME AGAIN. OR OMG SHOOT 5 LEFT RAMPS SUPER HARD MAN. I have to disagree and if someone has managed to play the Hobbit for an hour and half and not reached the 3rd wizard mode then they don't understand the rules. You have your games with 6 modes, a couple multiballs and 1 wizard mode and then some that are far deeper like the Hobbit where there's 31 modes, a main multiball (plus others), and 3 Arkenstone wizard modes that have multiple stages. If you get to all 3 Arkenstone modes in The Hobbit its going to be a long game, if you beat all of them (haven't heard of that yet on default settings) its going to be even longer. That's just the way things are with games that have a lot of modes and I think that's awesome as deep and unique code helps justify today's prices. Same goes for Stern Star Trek having 6 modes with 3 levels, so 18 modes. That game is better for having 3 different levels to its modes then just 6 modes and calling it a day in my opinion. The Hobbit is a journey based game, all 31 modes are unique, Smaug MB and the 3 wizard modes have multiple stages and with the final update it will have a super wizard mode that will be extremely hard to get to (as it should be) for that game of a lifetime. Sure doesn't feel like it when playing it. There's a lot of "sameness" to many of the modes if you're not looking at the screen while playing. As a result I found it tedious rather than fun. they don't understand the rules. Okay, if you say so. You let me know when YOU have a half-hour long multiball. I have. Many times. And I've definitely beaten Into the Fire (OMG THE ADD A BALLS. YEAH THAT'S WHY IT'S A THIRTY MINUTE MULTIBALL. )...I'll probably never beat Barrel Escape because I refuse to intentionally shoot the pops (LOL) and I'm pretty sure that's a requirement. Garbage pops nest gives like 2 or 3 hits on every Hobbit I've played, and ball comes out.. awful and thoroughly unsatisfying. Glad to see they fixed that on POTC. Those pops are bloody dangerous. *Edit* Oh, and I've been one shot off killing Smaug too. One of our local guys wanted my help fixing something and I played his Hobbit and both the smaug kill and the Into the Fire full clear were with him watching. I literally just walked away from the game after that, because I felt bad that it was going to put a ridiculously high score on his game, and he was nice enough to stand there and observe. His kid played ball one. I played ball two after she walked away, and then quit. So based on the two threads, seems LOTR, TSPP, TWD, and MET are considered the hardest wizard modes to reach. Again, we've only based the on the top 20 games on Pinside. I know WOZ and many other pins have brutally difficult wizards. I haven't played much TSPP, but from the sounds of it, the big wizard mode is practically impossible to reach. So let's take that one off the table. MET seems pretty tough, but doable if you're having a good game, making shots, and cashing out of CIU early. That leaves me with TWD and LOTR, both of which I currently own. Valinor is a mountain, but it seems attainable with a good strategy, and being in the zone to execute it. I was working on the sixth gift the other night, and had only Fellowship MB and DTR to beat to get there, and although that is still a huge task, it doesn't seem improbable. And then there's Last Man Standing which from playing my game for only a few weeks, seems like it is never going to happen. I've reached Horde a bunch of times, I'm getting close to Terminus, but LMS is a ridiculous feat considering how dangerous every returned shot is in the game and the gaping outlanes. In terms of mode variety I haven't played another game that works the playfield as well, in as many unique ways, as the book modes in The Hobbit. The modes also have their own custom music and are timed to unique scenes from the movie. Same goes for all of the Akrenstone modes and Smaug MB. I see we both own WOZ and personally I would say those modes (Crystal Ball, Haunted and Munchkin Modes) feel far more similar versus the book modes in The Hobbit.